A recent study has found that Chinese citizens have invested an estimated $110 billion in US real estate over the last five years, more than the citizens of any other country apart from Canada. Russian political analyst Dmitri Kosyrev comments on the global geopolitical implications of China's moves. The investment study, conducted by the international non-profit Asia Society and the Berkley-based Rosen Consulting Group, has found that Chinese purchases of real estate in the US have been growing steadily over the past five years, with a particularly sharp spike last year. The $110 billion figure makes the Chinese the second-largest buyer of US real estate after Canada, with India, Mexico and Britain rounding out the top five. The study suggests that the substantive Chinese investment has played a significant role in the recovery of the US real estate market following the 2008 crash. Investment included an estimated $93 billion on residential real estate, and another $17 billion on commercial property. Notably, the figures do not include purchases made through front companies which do not disclose the identity of their clients, so the real numbers are probably even higher. Commenting on the implications of the investment boom, RIA Novosti news agency political commentator Dmitri Kosyrev suggested that the news was "a good occasion to reflect on the inner workings of geopolitical shifts in the world" in recent years, "that is, a peak into the global list of 'who is who'." Citing the report, China Daily pointed out that the boom is expected to double over the next five years to at least $218 billion in investment between 2016-2020. And after that, "Chinese investment could accelerate further." What's significant about the trend, Kosyrev writes, is that while "the United States too, of course, has also been buying China; last year Chinese investment in the US exceeded US investment to China for the first time." What's more, he says, its worth paying particular attention to the "tone of the Chinese media reporting on this story: no excessive enthusiasm, nor distress." The motto, he jokes, using the famous line from The Godfather, is "Nothing personal, it's just business." By comparison, Kosyrev notes, it's worth looking "at how the Chinese incursion is perceived by different groups in American society. There's need to even mention Republican presidential candidate Donald Trump, who constantly scolds the Chinese for being bloodsuckers with respect to the US economy. Here's a recent piece in The Washington Post complaining about the Chinese depriving Maine of thousands of jobs, and adding insult to injury by buying up the lion's share of the state's famous lobsters." "Of course the Chinese pay for the lobsters, and give the state's [fishermen] an opportunity to earn a living," the analyst notes. However, the media continues to complain about 'their lobsters' being swallowed up by the Chinese. "These stories are a classic case of economic nationalism, the very same that Mr. Trump is playing on. When money flows into the country, it is of course is beneficial. But when some historic country house, hotel or factory is bought out by the descendants of Emperor Qin Shi Huang, that's when emotions of a non-economic nature arise." "The question," Kosyrev suggests, "comes down to what is stronger, emotion or economic profit, and what America as a polity, and as a civilization is going to do next in this situation." "And there's another, different kind of investment, which has an indirect relationship with real estate," the analyst notes. "It's well-known that the US Treasury is up to its ears in debt to China, which is buying US government bonds. A lesser known fact is that China is also the first-ever foreign holder of another kind of US bond – those of mortgages, specifically those now issued by semi-public financial companies such as Fannie Mae and Freddie Mac. Those firms now owe China $207.9 billion. And those obligations are backed by the properties themselves; therefore, if one of these companies finds itself unable to pay Chinese financiers, the collateral they get in return is US real estate." In other words, Kosyrev argues, "it turns out that China has ended up saving the US economy from the crisis, if not immediately, and is now coming to the rescue to prevent its recurrence." 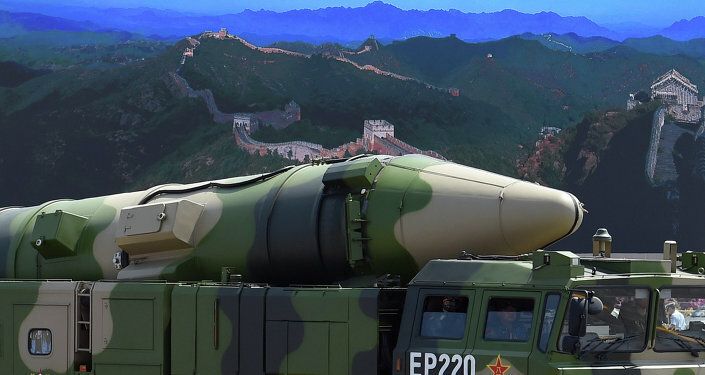 "On the whole, what we are witnessing is a growing interdependence between the world's first and second powers, which, of course, constitutes the basis of China's geopolitical strategy and predisposes America toward caution. The US is just one of the countries whose economic survival today depends in part on China. And some countries, particularly in Asia, are almost completely dependent on Beijing in this regard." However, "nationalism, it's worth repeating, exists in its own reality, and it has quite a reasonable basis to exist. For example: who are the real shadow owners of the world? The common logic is that it is billionaires, corporate leaders, 'an international conspiracy', etc. A recent report by Oxfam has revealed that the 62 wealthiest people in the world hold the same wealth as 3.5 billion people, or half the world's population." "There is a great deal which is interesting in this arithmetic," Kosyrev notes, "including the fact that the number of people living in extreme poverty has fallen by 650 million people, thanks first and foremost to China and its policies. The figures also finds that inequality in the world has grown significantly in recent years, especially since the 2008 crisis." "But back to the 62 people. Yes, half of them are from the United States. But after that, there are also 8 from China; 3 are from Hong Kong, which is really also China. Then there are 17 more masters of the universe from Europe, and elsewhere. Does mean that China or the Chinese will be building their own 'global cabal' or 'shadow government', or will they just merge into the existing structures?"